A sparkling collection of specials and spin-offs from the award-winning BBC Radio 4 comedy show, plus two tributes to the legendary Humphrey Lyttelton. 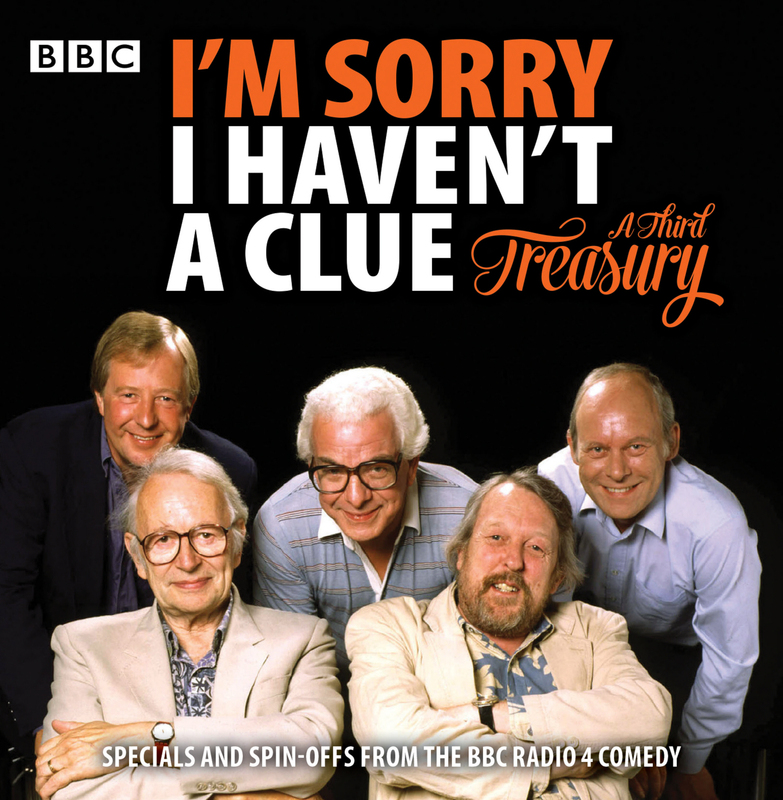 This third and final Clue treasury features a panoply of specials based around the perennial ‘antidote to panel games’. In the mix are I’m Sorry I Haven’t a Christmas Clue, featuring the team’s unique interpretation of A Christmas Carol; Humph in Wonderland, in which they venture down a rabbit hole; and In Search of Mornington Crescent, in which Andrew Marr peers behind the veil of secrecy surrounding that illustrious game. Also included are two shows commemorating the programme’s inimitable original host, the late, much-missed Humphrey Lyttelton. In Chairman Humph, presented by Stephen Fry, friends and admirers including Tim Brooke-Taylor, Barry Cryer and Graeme Garden recall Humph’s numerous Clue highlights, while in Humph Celebration Concert, Stephen Lyttelton introduces an exceptional evening of music and comedy celebrating his father. Finally, arriving just after they’ve had their tea, are all three series of spin-off comedy The Doings of Hamish & Dougal. Among the performers in this superb collection are Willie Rushton, Sandi Toksvig, Andy Hamilton, Rob Brydon, Linda Smith, Jeremy Hardy, Jack Dee, Dame Judi Dench, Sir Michael Gambon and Alison Steadman.